The CBSE officials said that they would approach the police for investigation against those spreading fake news related to the examination questions papers and leaks. 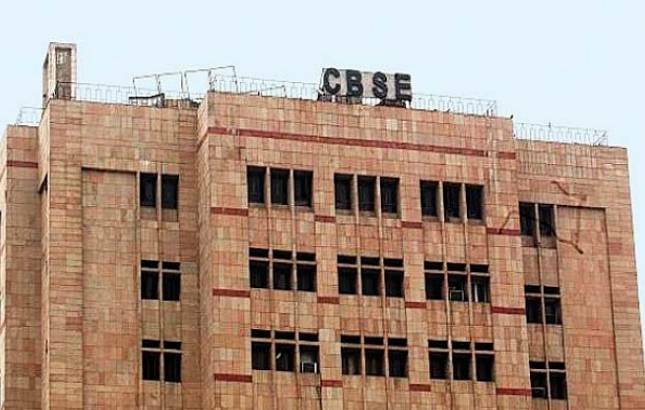 The Central Board of Secondary Education (CBSE) on Thursday denied the allegations about the leak of question paper of the Class 12 Accountancy examination, adding all the bundles of the question paper were found intact with the seals in every examination centre. The move comes after Manish Sisodia, Deputy Chief Minister of Delhi, tweeted about the complaints received by him in this regard on Thursday morning. "Received complaints about the Class 12 CBSE Accountancy paper being leaked. Have asked officers of Directorate of Education to investigate and lodge a complaint with CBSE. Swift action must be taken so that hard-working students don't suffer due to the negligence of CBSE." he wrote. Sisodia, who is also the education minister, had directed officers of the Directorate of Education (DoE) to lodge a complaint with the CBSE. A senior CBSE official, however, said, "There has been no leakage of the question paper. All the seals have been found intact at all exam centres. However, at local level, some miscreants may have circulated messages through WhatsApp and other social media platforms to hurt the sanctity of the exam". "The board has decided to take strict action against such activities. An FIR is being lodged," the official said. Police officials, however, said they have not received any complaint yet. Sisodia, however, asked the CBSE to take a swift action, and said that if a particular centre is at mistake, then all the students should not be affected because of it. He tweeted, "CBSE is one of the most reputed organizations. I'm sure they will take swift action and try to find out how the paper reached whatsApp right before the exam. If a particular center is at fault then let not all the students suffer." CBSE is one of the most reputed organizations. I'm sure they will take swift action and try to find out how the paper reached whatsApp right before the exam.